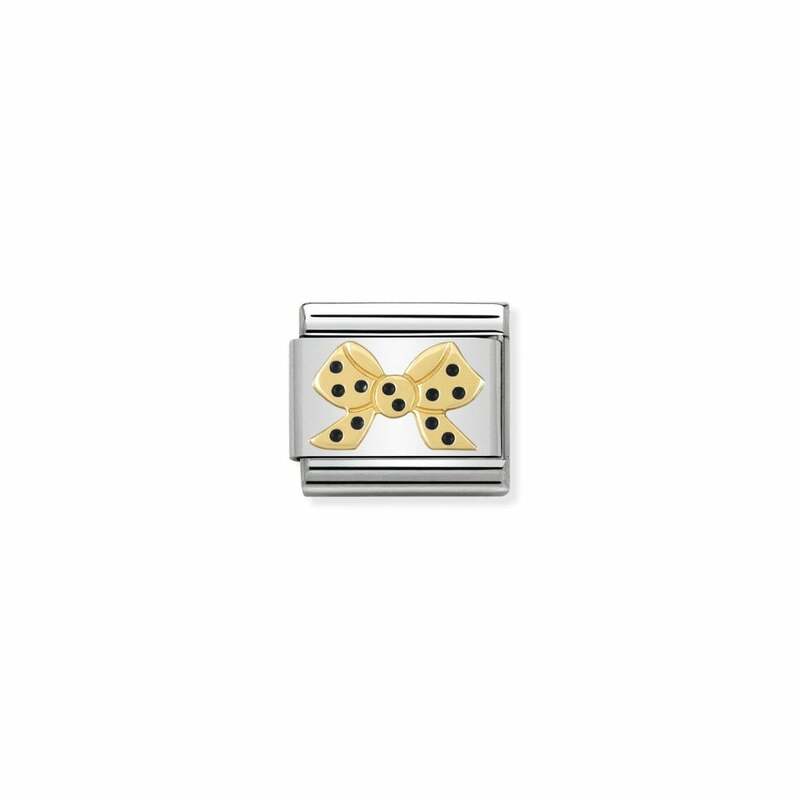 A black spotty bow crafted from 18 ct gold and enamel on a bed of stainless steel. Part of the Pois collection. Fits a Classic bracelet. Comes with official NOMINATION packaging and 2 year warranty.